Thanks so much for your guest post, Alta! I can’t wait to make your recipe. I love spaghetti squash, but mine has never looked this good. This is a must have for me! YUM! Awesome job on the post Alta! 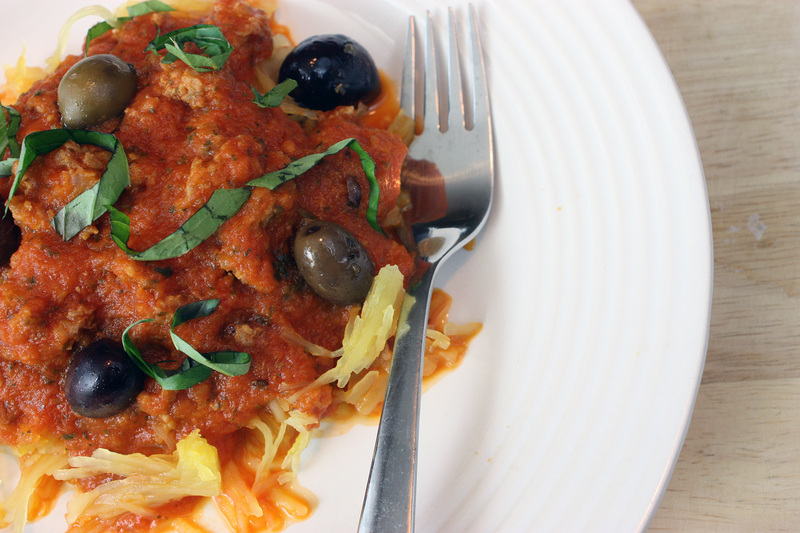 I love spaghetti squash, but often fear pairing it with tomato-based sauce due to the acidity. May give it a go though! This is great. It is important to continue to eat healthy even when the money does not go as far as it use to. I have found that anything made from the Italian style is wonderful and does not cost alot of money. Heading over there now. This looks fantastic!